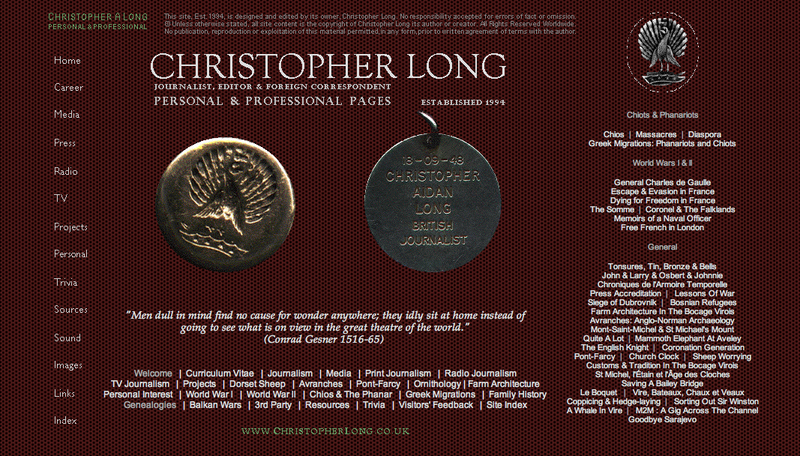 Compiled by Christopher Long (a descendant or kinsman of most of them). 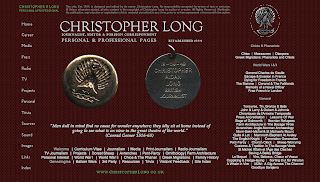 Mr. Long was a Journalist, Editor & Foreign Correspondent. The website he created includes both personal and professional pages. You can find a link at the bottom of the page "Family History Genealogies" which includes 37 family genealogies (reference list below) with thousands of names. Other pages of interest might be: Chios, Massacres, Diaspora, Greek Migrations: Phanariots and Chiots. Christopher, you should be commended for your amazing work evident here. On that note, I am very keen to get into contact with all and any Pitsis family members from around the world. I don't have much information about my family history as my father died when I was young - I do know my father and his brother and sisters moved to Australia from Alexandria and Greece. I know his family originated from Rhodes, but unsure prior to that. Please contact me at tpitsis@gmail.com if you want to explore or discuss more. Tyrone, There are records for Rhodes at the Family History Center in Salt Lake. A copy of the microfilm can be sent to a local Family History Library near you. I hope you can help me, I am looking for any information on my Father's last name, Σπυρελλησ. They came from Coutali, and it was taken over by the Turks, it is now called Ekinlik Turkey. My Grandfather came from a Family of 9 children. Where did they all go? Some went to Lemnos, and formed a new village called Nea Koutali, a few went to Australia, where did all the others disappear to? Can you please help me? There are some *according to my cousin, in Albania* but don't know if we are related. I know the spelling of the name changes, sometimes 1-L but the original spelling had 2-L's..............Sometimes spelled Spyrellis, Spirellis, my Father changed his to Sperellis, and it can even be spelled Spurellis because of the 3-E's in our alphabet. Please help me to find my Family Roots, not just for me, but for my Children and Grandchildren. Also, if the Turks burned, destroyed their papers, wouldn't they have to reapply again, somewhere else in order to get a passport, visa, Greek I.D. card, purchase land, and to marry? Did the small villages send their births, baptismals, marriages and deaths to another Larger Church where their papers might be kept? My Father did mention Mytilini, maybe they went there after the Turks took their village? Please Help Me.